Alright that was a nice winter break. It's time to get back in the habit of updating my blog on a regular basis. We've just had our last couple of snowfalls for the year. Things are melting fast here in New Jersey. Friends in Florida are already sending me reports of Winter Ants, Prenolepis imparis, flying and I'm sure they'll be doing that here in the next few weeks. My bee hive seems to have survived and are actively taking advantage of the early pollen sources nature provides. Willows, Swamp Cabbage, and patches of Crocuses are already in bloom here. Other plants have yet to wake up though and I'm looking forward to a bustling year of biodiversity in my garden. 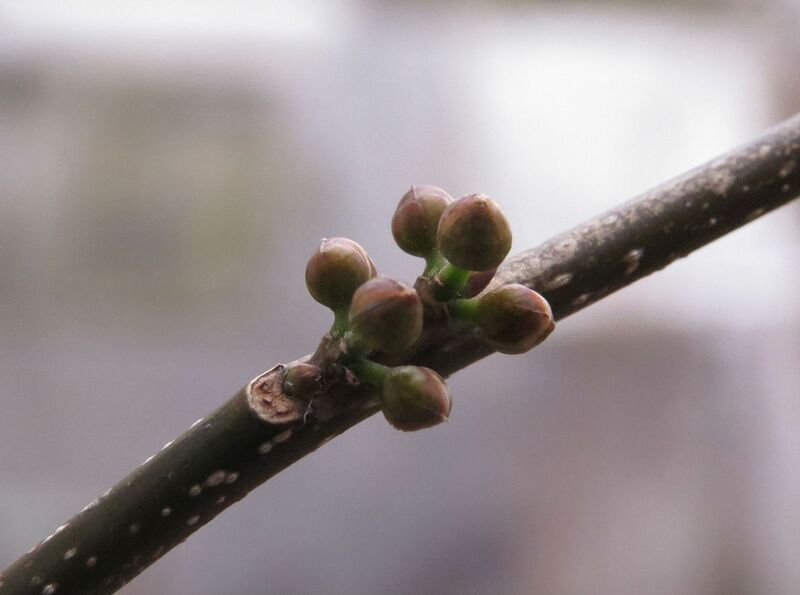 Northern Spicebush, Lindera benzoin, is going to put on a nice display of blooms for me this year. I planted two saplings which were 4 inch plugs a few years back. They did flower last year but it was nothing worth mentioning really. This year though I seen flowers all over the stems, and between the two plants I may have lucked out and gotten a male and female. The buds look different but I won't know for sure until they open. 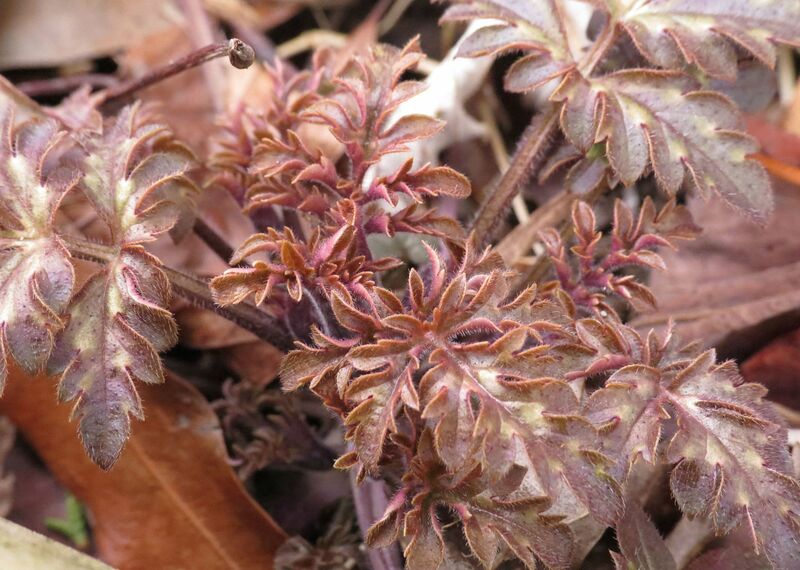 Virginia Waterleaf, Hydrophyllum virginianum, was another surprise. Firstly because of all the wildflowers I grow, this was the only one that had leaves roughly 8 inches long already. They're not green but that's an amazing amount of growth to push out this early. They still have the bleached water marks on them too which give the plant its name, water leaf, as if drops of water had gathered on the leaf. Someone had told me once this plant can be hard to grow but of the few plants I started with I can say they're reproducing at a nice rate. They're supposed to spread by rhizomes but I'm finding seedlings popping up all over the place, even in pots adjacent to the flowerbed they grew. Also alive and well is Golden Ragwort which already has rosettes of green leaves. I've planted a second patch of these out in the meadow garden but I've yet to mow down last year's growth. Clearly I need to get on that.